Global and Indian e-retailers are eyeing the burgeoning Indian e-commerce market and consumers are also elated over affordable deals coming their way. Global and Indian e-retailers are eyeing the burgeoning Indian e-commerce market and consumers are also elated over affordable deals coming their way, says a PTI report. The e-tail revolution in the country has affected the traditional brick and mortar stores in 2014, which further led to investigations and allegations on these e-tailers for following unfair trade practices. Despite the ups and downs, Indian e-commerce industry is expected to flourish in the coming years. Also, it is expected that some more billion dollar entities will venture into the Indian online industry by 2015. The online market is expected to expand to over $3-billion industry. 2014 saw big investors from India and abroad investing their money on various e-commerce ventures, which got funds to the tune of $3 billion from individuals, companies and private equity firms. Industry players and experts expect the fund inflows to continue, or maybe get stronger in 2015 as well. Expressing his views on the industry expectations Flipkart Co-founder and CEO Sachin Bansal said: "With large scale global investments, growth of niche category eCommerce firms and the entry of global competitors/ brands, eCommerce landscape in India looks very promising." At present, India is one of the fastest-growing eCommerce markets in Asia/Pacific along with China. With an increase in internet penetration, adoption of smartphones and lower data rates, the way India shops is completely changing, he added. Commenting on the e-commerce sector's growth, Kunal Bahl co-founder and CEO of Snapdeal said that e-commerce sector saw phenomenal growth this year and is changing the way people shop. "We are focused on delivering the best shopping experience for customers. We are investing heavily on logistics and our platform so that consumers have a richer experience," Bansal added. According to experts online shopping space in India is expanding at a massive scale and the journey is not yet over. Consulting firm PwC's India Technology Leader Sandeep Ladda said the eCommerce sector has seen unprecedented growth in 2014. "It was driven by rapid technology adoption led by the increasing use of devices like smartphones and tablets and access to the Internet through broadband, 3G, etc, which led to increase in online consumer base," Ladda added. Furthermore, favoured demographics and growing Internet user base helped in aiding the growth. In terms of major highlights, growth shown by homegrown players like Flipkart and Snapdeal and the huge investor interest around these companies clearly indicate immense potential of the market. Also, in terms of funding, renewed market sentiments post the formation of the new government helped and overall business confidence significantly improved, Ladda said. Research firm Technopak's Associate VP Pragya Singh said 2014 was an inception year for the eCommerce space with intense competition and investor interest. "Players had an urgency to scale up and grab leadership positions. Leaders are beginning to emerge," she added. Apart from the traditional online formats of retail and lifestyle, newer online business segments like classifieds, real estate, grocery and healthcare have also become popular and will continue to gain traction, he added. Going ahead, Singh said the market will see leaders emerge more clearly as the competition will intensify. Also, niche players will evolve as well as the logistics will continue to evolve. Besides, the sector might witness some consolidations, she added. As per the report, the online payments industry is also witnessing a strong growth. The further development of online payment and mobile commerce offers great opportunities in 2015. For consumers in small towns and cities across India, mobile devices will be the only contact point in their evolution towards becoming online customers, while others in big cities will use smartphones along with computers. Payment solutions provider Oxigen said journey of online payment mechanism was primarily driven by cash on delivery as it accounted for a major share contributing to the sales. eCommerce and payments brands significantly encouraged transition and transactions flow through mobile application as a platform, Oxigen Services Deputy MD Sunil Kulkarni said. "The 3 key eCommerce players -- Snapdeal, Flipkart and Amazon -- with their special schemes pushed for traffic from online to mobile application resulting in tremendous traffic shift," he added. In 2015, he said that mobile is expected to be a major platform in view of smartphone population touching 100 million users including Android, Windows and iOS. PayU co-founder and CEO Nitin Gupta said 2014 saw an increased number of payments happening through mobile devices. The number increased 2-3 times from 2013 levels and now mobile devices account for 35 per cent of total transactions. 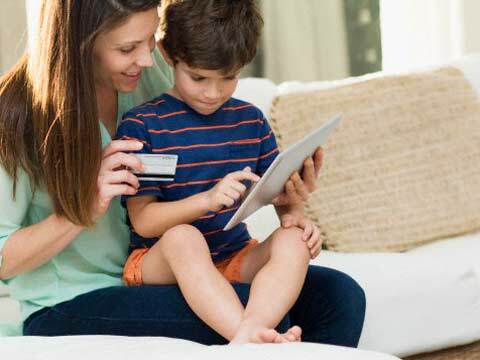 "2015 will see a deeper marriage between offline and online in terms of collecting payments. Many small merchants like brick and mortar shops, mom and pop shops, individuals etc will start collecting payments online," he said. Also, he added, there will be an increase in adoption of online collection among establishments like electricity boards, schools. There will also be a rise in the number of people using mobiles to pay at physical stores. "2015 will also see a surge in the use of wallet services to make payment with a lot of benefits being provided by payment companies to the users," he said. Cash back and coupon firms also made tremendous progress in 2014 aided by growth in online shopping space. E-commerce bandwagon is not just marching ahead full steam, has begun generating interest for Cash Back and Coupon sites among Venture Capital firms and angel investors as it expands, cashback and coupons site CashKaro co-founder Rohan Bhargava said. "Being a price sensitive nation Cashback and Coupon sites are gaining a foothold and the trend of affiliate marketing is fast gaining popularity in India. According to estimates, affiliates account for up to 15 per cent of sales of e-commerce sites in India, he added. "In 2015, we expect this trend to further strengthen. Investors in India and globally are getting more interested in this sector. On the retailer's side, the affiliate channel is proven to be one of the higher ROI channels," Bhargava said. Consolidation is also likely to continue in 2015, especially in newer market segments such as real-estate, grocery and furniture, and PwC expects India's eCommerce market to increase by over 70 per cent in 2015. On the scope for more billion dollar firms, PwC's Ladda said: "The Indian eCommerce market is a primarily minority stake market, with maximum traction in early-stage deals, such funding at early stage will help companies have good foundation and solid base to start from. "With such strong markets prospects and equally upbeat investor community, we certainly expect many more eCommerce firms from India to enter the coveted billion dollar club." Ladded added: "Also, significant interest is also seen from traditional retailers planning to move to the online or to an omni-channel format, enticed by potential of the eCommerce market, several Indian companies, as per market reports, including Tata Group, Reliance Industries and Aditya Birla Group, are planning online retailing forays." The market is in a nascent stage, he said, adding that the sector grew by over 50 per cent CAGR over the past five years. "And India's overall retail opportunity is substantial, coupled with favoured demographics (young population, rising standards of living and upwardly mobile middle class) and growing Internet user base, strong growth in e-commerce market is expected," he said. How healthy 'Snacking' items are changing retail shelves? Do you have wine in your store?